Head on back to Liberty City because Grand Theft Auto 4 is the latest classic Xbox 360 to become backward compatible with Xbox One. Originally released in 2008, the universally acclaimed open-world action game is now playable on modern hardware. 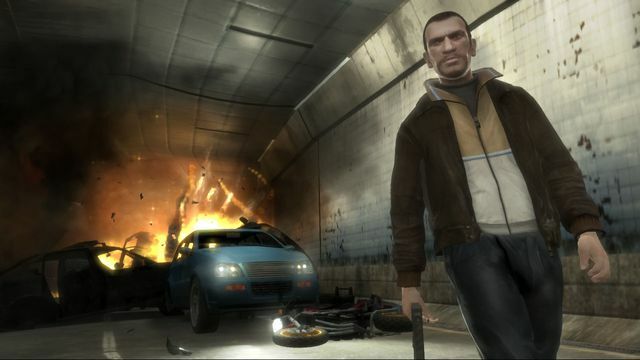 Both Grand Theft Auto 4 and Grand Theft Auto: Episodes from Liberty City, which contains its two expansion packs, are now playable on Xbox One. That includes all versions of the main game, including the Complete Edition. Owners of the original Xbox 360 discs can use those, or they can purchase digital copies from the Xbox Live Marketplace. Grand Theft Auto 4 joins Grand Theft Auto 5 as one of the mainline entries in the long-running series available on Xbox One. Both are among the most widely beloved titles in the series, with GTA5 in particular continuing to perform well at retail. In a recent earnings call, Take Two Interactive — the parent company of Rockstar Games, which develops the Grand Theft Auto series — announced that it had shipped more than 75 million copies of Grand Theft Auto 5. That puts it high among the list of gaming’s all-time biggest sellers. GTA4 was also a huge seller even amid controversy due to its violent content and use of alcohol. The base game alone has sold more than 25 million copies. Gibe de pussi b0ss and Skepta like this.